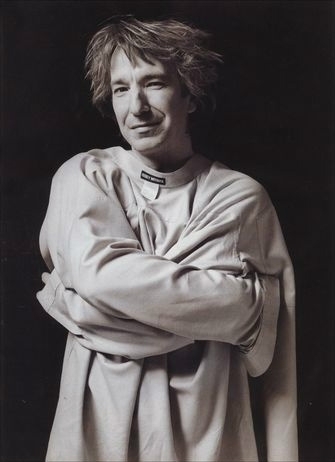 I’m super excited to be flying to New York on Friday to see Alan Rickman in a play called Seminar on Saturday. He’s absolutely my favorite living actor and I’ve got 4th row tickets. I’m terrified that I’ll hyperventilate and pass out when he steps out onto the boards. Of course, if I die of a heart attack, I’ll go happy, right? My great grandmother was a Phillips by birth. Her brother had a son named Sam Phillips. Sam grew up to found Sun Records in Memphis, Tennessee. He discovered Carl Perkins, Elvis Presley, Johnny Cash and Jerry Lee Lewis. I am proud to call him a distant cousin. 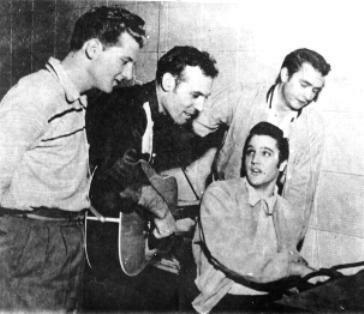 There was a day in December, 1956, that all four of his best selling artists were in the studio and had an impromptu session. Here is a iconic picture of that day. 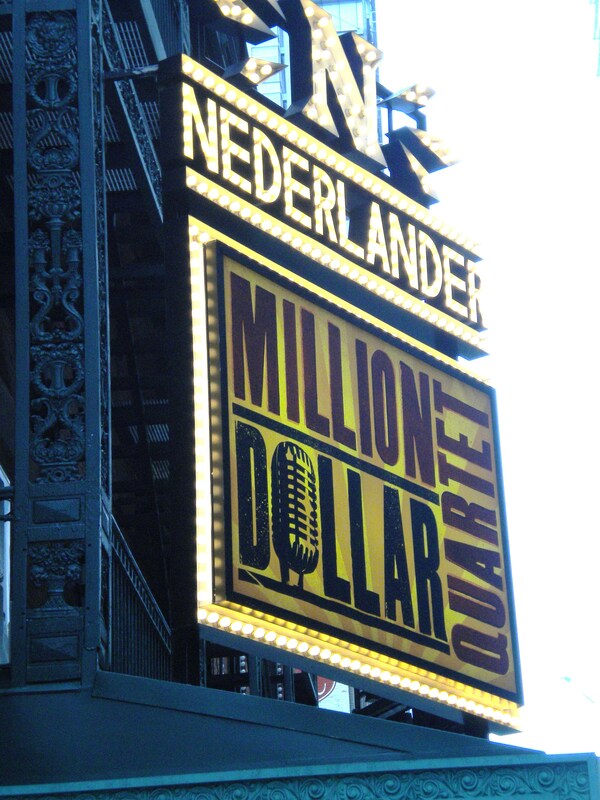 This day has now been memorialized in a Broadway show that I had the privilege to see a week ago today. It was great. Lots of wonderful music and the actors played and sang it all themselves. The Elvis character had the mannerisms down cold. He was good. Johnny Cash was spot on as well. The guy that played Carl Perkins was the best guitarist of the group. BUT I have to say, the guy that played Jerry Lee Lewis stole the whole show. He was fantastic. His piano playing was amazing even upside down! He won a Tony Award for best new comer and it was very deserved. His name is Levi Kries. I see great things in his future. The only female in the cast had a fabulous singing voice. As for the guy that played my cousin, Sam, he was good, too and better looking than the real Sam. I have never been disappointed with any show I have seen on Broadway (except one that I won’t name) and this was another treat. Highly recommended. AND get the soundtrack, you’ll love it. 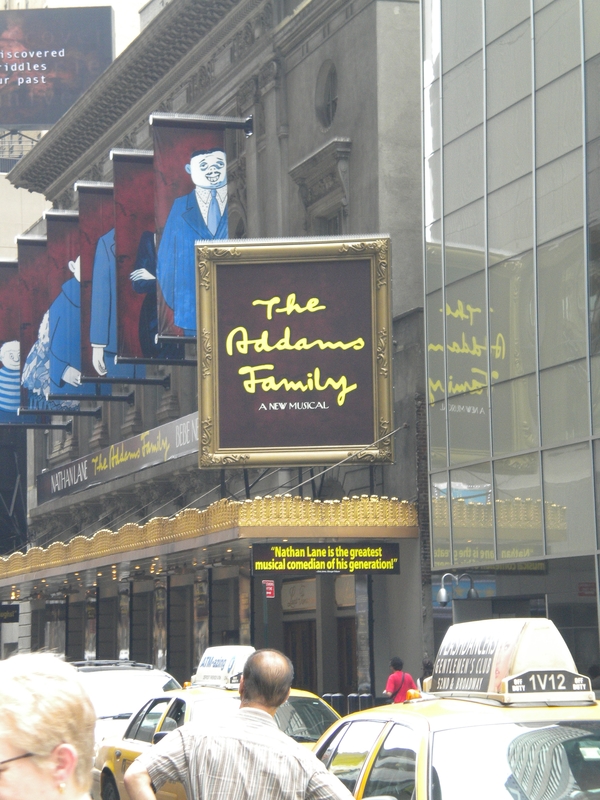 As promised, here is my review of The Addams Family on Broadway. We had front row center seats for the Sunday, June 13, performance. I have never been on the front row before. The closest I’ve been in the past was 7th row when I saw Talk Radio. I saw Equus from the box and that was a good high view of the stage. This front row thing was a real treat. When Nathan Lane walked onstage, I was so excited I could barely stand it. He is just such a virtuoso in the comedic arts, he is irresistible. The magnetism he has comes across the stage lights and grabs hold and doesn’t turn loose even when the show ends. He was on form and I thoroughly enjoyed his performance. Bebe Neuwirth also has a great presence. She was wonderful in her role as Morticia. Her voice and dance abilities are awesome. I especially enjoyed her dance scene with the ancestors. The woman who played the mother of Wednesday’s boyfriend, Carolee Carmello, was hilarious. I saw her when she played Donna in Mamma Mia, so I knew she could sing but she played a comedic role here and she was spot on. When she drank the potion Pugsley poured and her “dark side” came out, she was so funny, I laughed til I cried. Terrance Mann is one of my favorite actors and he was perfect as the father of the boyfriend of Wednesday. Wednesday was a cute girl and sang quite well. Uncle Fester stole almost every scene he was in (except for the ones with Nathan, of course, as who could take their eyes off Nathan? ) Kevin Chamberlin played Fester and he was nominated for a Tony. He didn’t win but he was really good in the role. Lurch, Pugsley and Grandma were true to the television series. All in all, I was very pleased with the show. 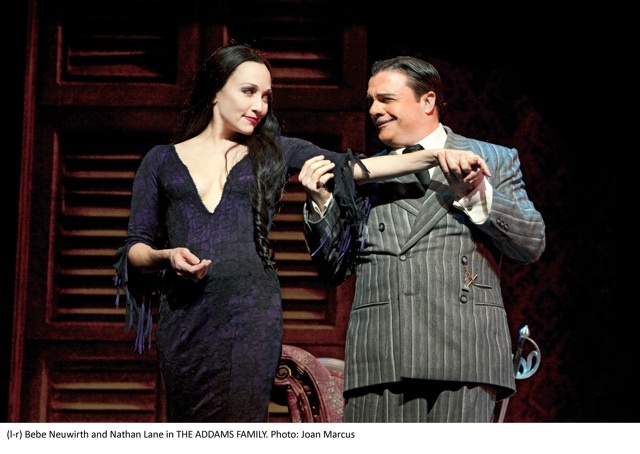 Near the end, Nathan Lane tossed a rose into the audience and #2 son caught it. He gave it to me. It was a cool end to the show and I’m glad we got to go. At LaGuardia Airport ready to head home from my 8 days in NYC. I’ll be posting reviews of the 2 shows I saw soon but here is a picture to tide you over til then. 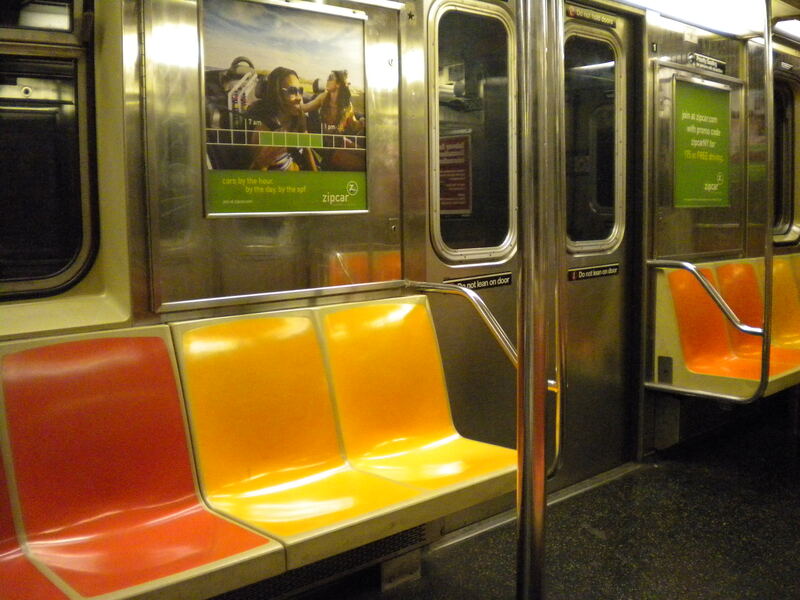 This was my main mode of transportation for the last week. I miss my Volvo. On Broadway. Won’t tell when since I don’t want to divulge that secret info- just know I am excited and can’t wait. Can’t believe my luck and I’m praying neither will get sick and need an understudy!